In addition of the Starmobile Sky, the company silently reveals the Up with ₱4,999 price tag. Features a 5-inches IPS display with 854×480 resolution at 196 Pixel per Inch, the Starmobile Up is powered by a MediaTek MT6582M quad-core chip clocked at 1.3GHz. This new smartphone is running on a latest Android Kitkat OS. 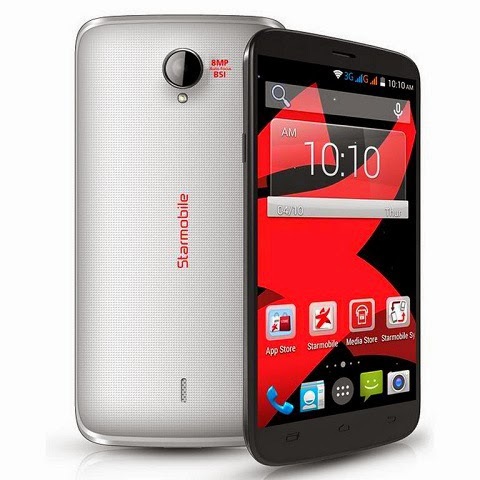 The Starmobile Up supports Bluetooth, Wi-Fi, and 3G wireless connectivity. It also equipped an 8 megapixel auto focus main camera, and a 2 megapixel on front. With 2000mAh battery module, Starmobile promising the Up to deliver up to 250 hours of standby time and up to 6 hours of talk time. The Starmobile Up and MyPhone Rio have both 5-inch display, quad core processor, 8MP camera, 1GB of RAM and ₱4,999 price tag.